At Glamorgan Church we have been blessed with solid Pastoral leadership for many years. Mark arrived as the Senior Pastor of Glamorgan Church on April 1, 1992. (Do you think there might be something symbolic about that start date?) 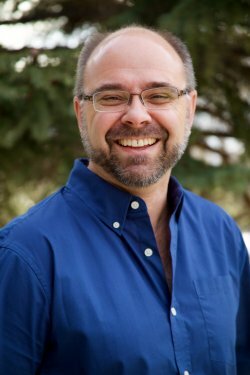 Mark accepted this role in ministry after serving congregations in Medicine Hat, Alberta and St. Helens, Oregon in the areas of Youth and Music ministries. Mark, and his wife Sandi have a whole bunch of children: Caleb and his wife Triana, Lukas, Hannah, Danyel, James, Jackie and Matthew. Sandi has been active as a consultant with Focus on the Family encouraging Churches in the Calgary area to develop ministries to families who foster and/or adopt children. Trust in the LORD with all your heart and lean not on your own understanding; 6 in all your ways submit to him, and he will make your paths straight. But seek first his kingdom and his righteousness, and all these things will be given to you as well. The Biblical characters whom Mark has seen best demonstrate these verses are the Old Testament men Joseph and Daniel. Mark is thrilled and amazed with the journey God has led him on and with the things God has given along the way! As a hobby, Mark enjoys following sports; particularly hockey, football and basketball, and enjoys any opportunity to have fun with family and friends. Rachel has been on staff since 2002. 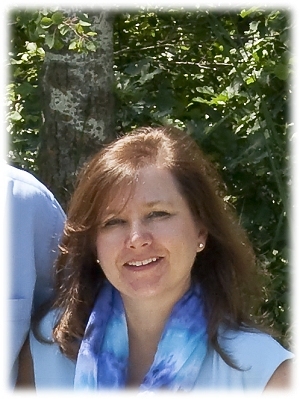 In 2004 she accepted the position of Minister to Youth and Children, and in 2015 she became the Associate Pastor. Rachel loves serving Glamorgan Church and considers it her privilege to journey alongside the children, youth and parents of Glamorgan. Rachel is married to Rick, and they have a son, Cyrus. The Jesse’s hang their hat in the Community of Glamorgan and love the 3 minute commute to work. Rachel’s favorite free time activities are; vacationing with her husband, laughing with her son, visiting family, hanging out with friends and training her dogs. Rachel’s favorite Bible Character is Samson. She loves reading about Samson. There is so much relevant application between his life story and how we treat God. In the end though Samson got it right. Rachel is also a sucker for an action flick!